Timedsurgery (Technique for the Implementation of Measured Electrosurgical Data) has transformed an empirical technique, electrosurgery, into a standardised method that enables once-unfeasible procedures to be carried out. Based on 30 years of technological and clinical research, Timedsurgery is today the most versatile and economical physical technique in surgical, dermatological and aesthetic applications. The programme data of Timedsurgery efficaciously solve more than 70 aesthetic problems. Do you want to perform a non surgical blepharoplasty in a single treatment? Do you want to eliminate lip wrinkles in a single session? Do you want to remove wrinkles from the lower eyelids and reduce crows’ feet? Do you want to eliminate facial telangiectasias? Do you want to vaporise small benign neoformations? Do you want to eliminate epidermal patches? Do you want to eliminate dermal and dermo-epidermal patches? Do you want to remove melasmas? Do you want to eliminate keratoses from the face and body? Do you want to vaporise xanthelasmas? Do you want to cut out a tiny skin lozenge between two 1 mm lines? Do you want to perform electroshaving of benign skin neoformations and exploit the organism’s regenerative capacity? Do you want to de-epithelialise the skin and re-pigment stable vitiligo and piebaldism? Do you want to coagulate venous lakes? Do you want to beautify the skin of both young and elderly patients? Do you want to reduce neck wrinkles? Do you want to compact the skin after an Elastic Plastic Surgery procedure or after liposuction of the abdomen? Do you want to level scars? Do you want to treat common warts by exploiting the anti-viral effect of heat? Do you want to coapt the ascending artery of a stellate angioma by means of bipolar emissions delivered under the skin through two partially insulated electrodes? Do you want to remove eyebrow tattoos? Do you want to perform pulsed incisions and micro-incisions that do not burn at the edges? Do you want to cleanse and sterilise skin ulcers? 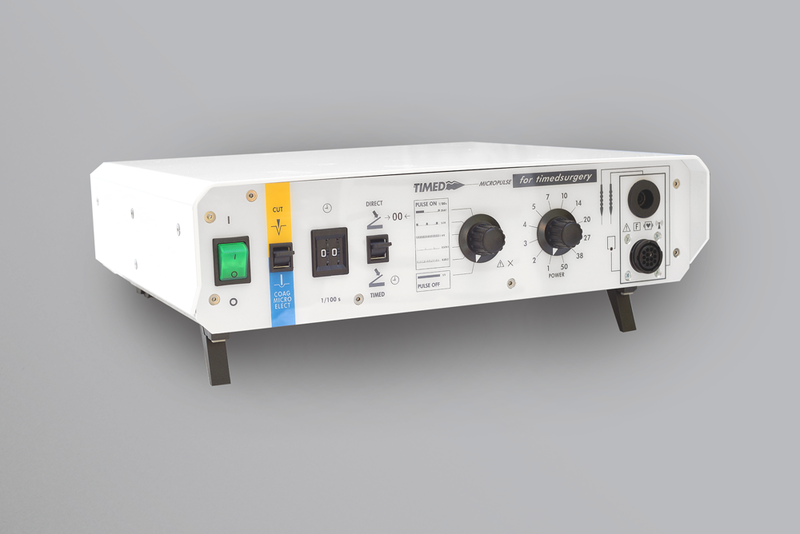 All this and much more is Timedsurgery, which is made possible by the Timed TD50 micropulse.